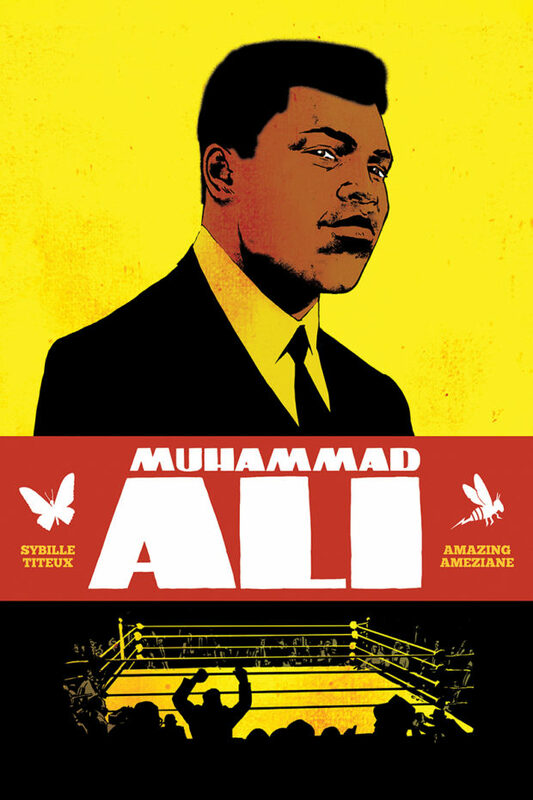 It’s hard to think of any read in the last ten years that so immediately grabbed my interest as much as much as Titeux’s Muhammad Ali. It’s important to mention that I am NOT saying this as a sports-lover. When I first picked up the book, I knew next to nothing about its world-famous subject; by chapter 2, I found myself so riveted by the fights described in the book that I succumbed to a Muhammad Ali Youtube binge-watching spiral. This story, just like Ali himself, is so much more than boxing. He is presented here as an exceptional man in complicated times. The societal pressures of the 60’s and 70’s cause him to fill many roles: the infamous instigator, the morally courageous war objector, and the inspiring black American being just a few. His spiritually-fulfilling friendship with Malcolm X and his later enmity towards “Uncle Tom” Joe Frazier show two sides of a deeply introspective and embattled person of color. Like any worthwhile biographical work, it highlights its subject warts-and-all. Ali’s character flaws, such as his lack of loyalty in relationships, are addressed but not emphasized. In Titeux’s writing, Ali is elevated but not deified in life. Amazing Ameziane lives up to his name with splash pages that I would pay to turn into wall posters. The illustrator takes an already thrilling athlete and presents his matches in a way that made my heart race. The occasional endearing touch, like a playful diagram of Ali’s fighting style or closeups of faces during the height of competition, fill out an already stellar work. I was blown away by this graphic novel. Go pick it up, and learn a few things about the greatest athlete of the 20th Century!